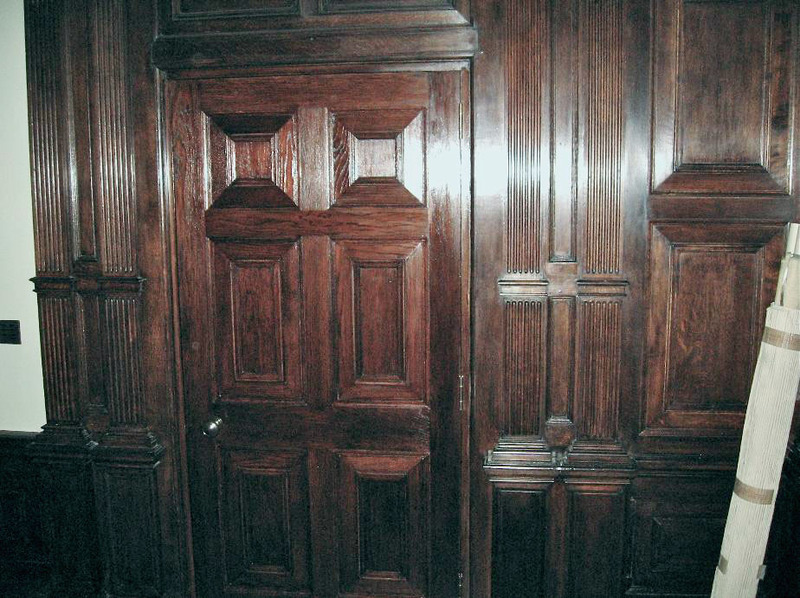 We can make Panelling from scratch , remodel or restore your existing historic installation. 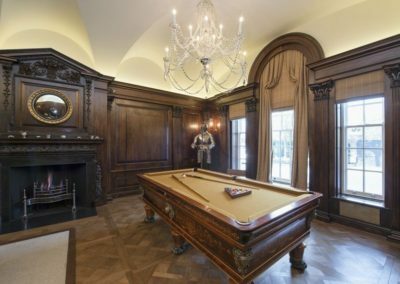 This commission was from the new owners of a house in Wimbledon who wished to remodel the panelling in one of the rooms to serve a different purpose. 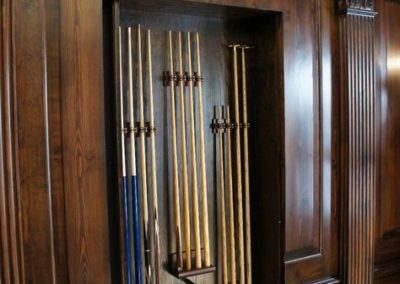 The brief was for the installation of a new doorway, a fitted television, an entertainment unit and a hidden cupboard for snooker cues and accessories. 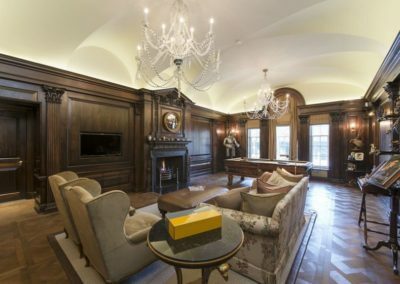 Working with the main contractor and architects, Computer Aided Design (CAD) drawings were produced to better show the precision technical requirements of this multi-faceted project. The nature and location of the commission meant that there were multiple layers of information to be taken into account to ensure the success of the installations. 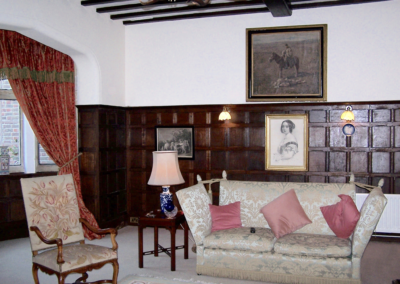 New panelling was made in the best quality pine to match the existing panelling. Careful consideration given to grain matching to ensure best results. The panels were fitted ‘in the white’ (not polished) and polished by others. 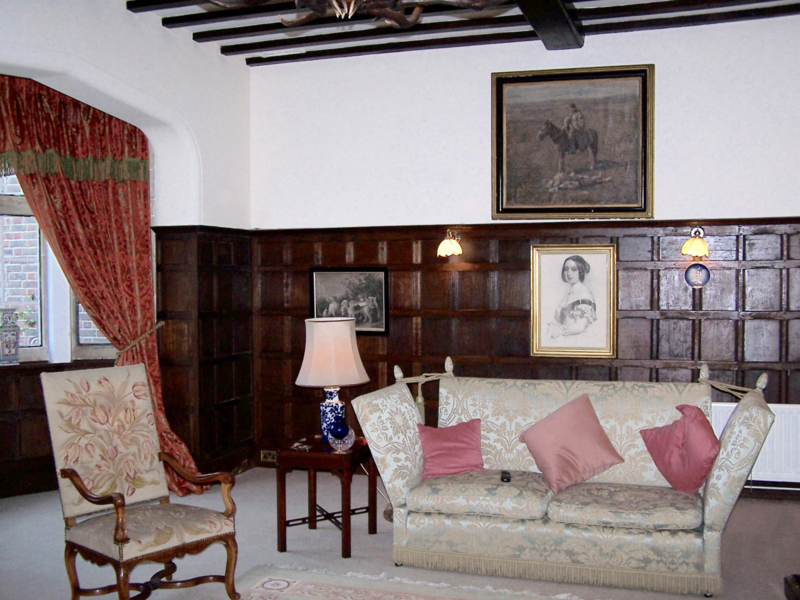 The panelling has ‘raised and fielded’ panels (recessed edges surrounded by mouldings) – in this case ovolo mouldings, can be best seen when the hidden ‘jib door’ (flush) cupboard is open. Holloway, White, Allom, a well-known building heritage company. 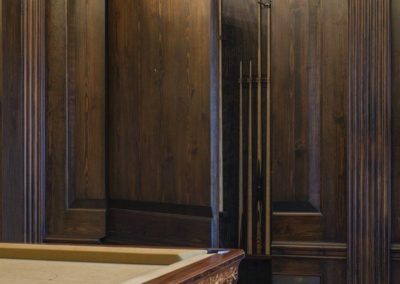 The brief required us to make a new small cut-string staircase with bullnose step and wreath handrails – which would be used for serving staff to come and go from the dining room. 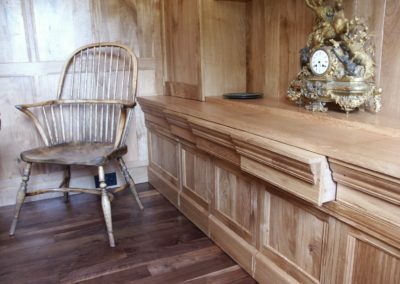 The brief was to also restore and make-good shrinkage and damage to existing historic panelling in the servery room; replace missing mouldings; make new full panels, skirting, dado and carved pilaster and carved capital details as necessary. 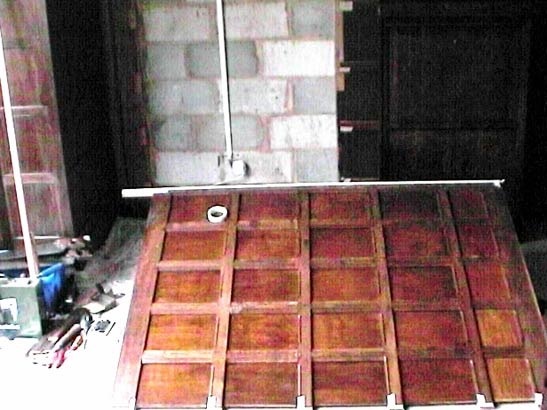 Also a make a new hidden jib door / fire door with hydraulic floor centre with covering oak raised and fielded panelling to match existing details. The door was to be wet plastered above dado and then painted. 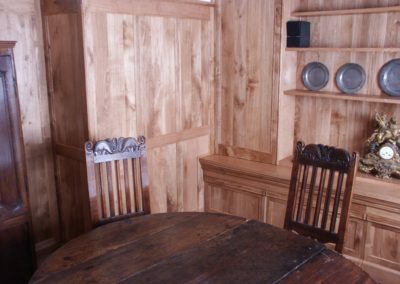 The cupboard and door was to hide a sink and dumb waiter for the supply of goods to the dining room. 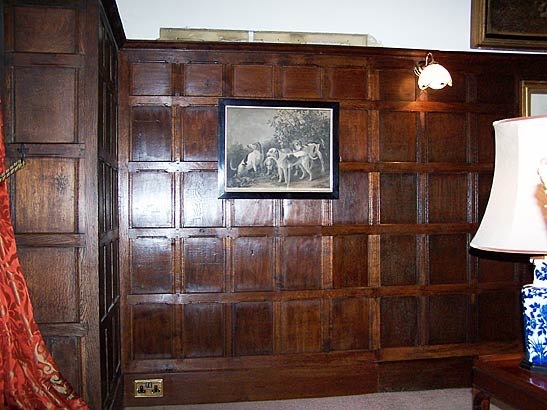 SA Spooner’s was asked to site by new clients to install missing wall panelling which had been discovered behind a large French armoire left behind by the previous home owners. 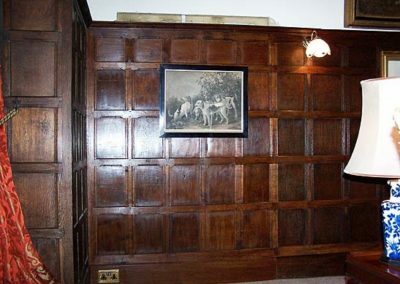 When the armoire had been removed a five panel wide section of panelling was completely missing. 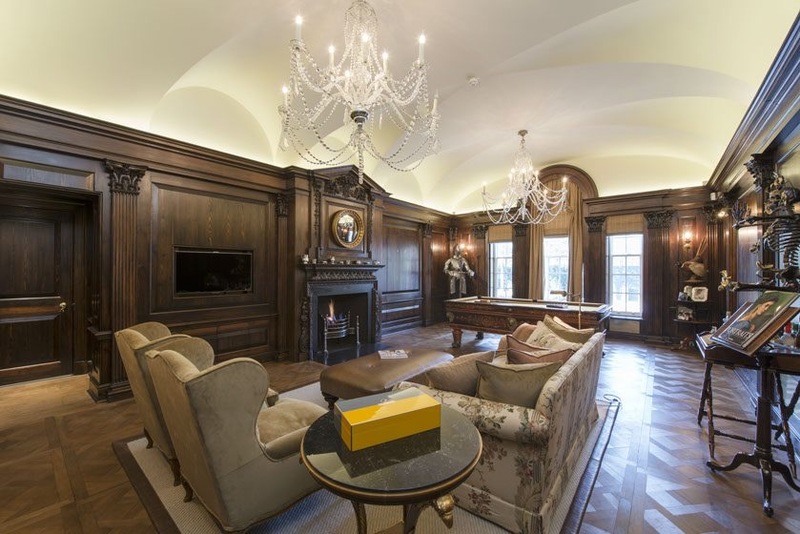 The brief was to make and install a fully matching new section of panelling ensuring the same cut of timbers, complete with the same texture and mouldings. 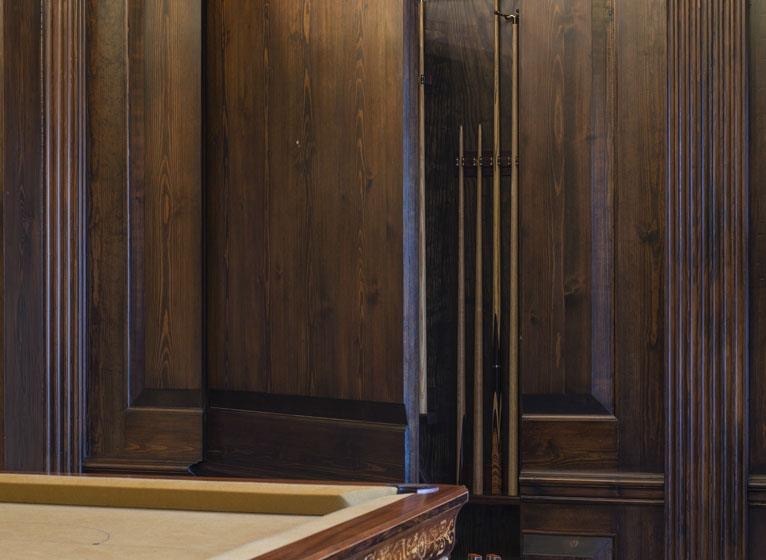 The panels were made and polished in SA Spooner’s workshops prior to assembly and delivery. 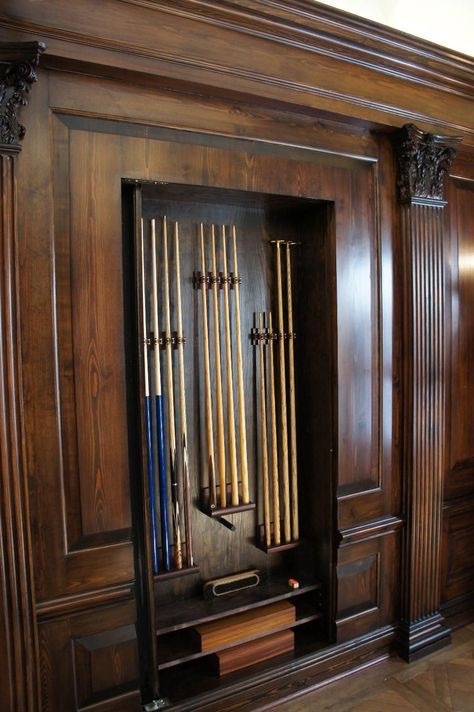 The panels were colour matched once fitted to ensure that the match was accurate with the lighting conditions in-situ. 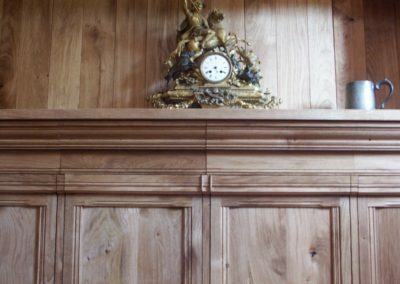 The client brief for this commission was to make new panelling and a fitted storage unit with a blend of Anglo and French influence. 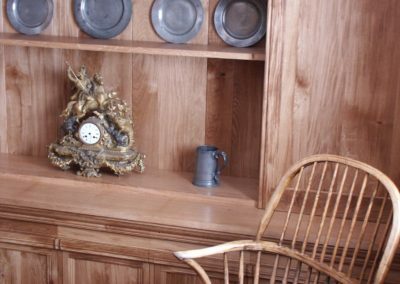 The main focus in the room the panelling and fitted storage unit was being made for was a fitted shelving unit. 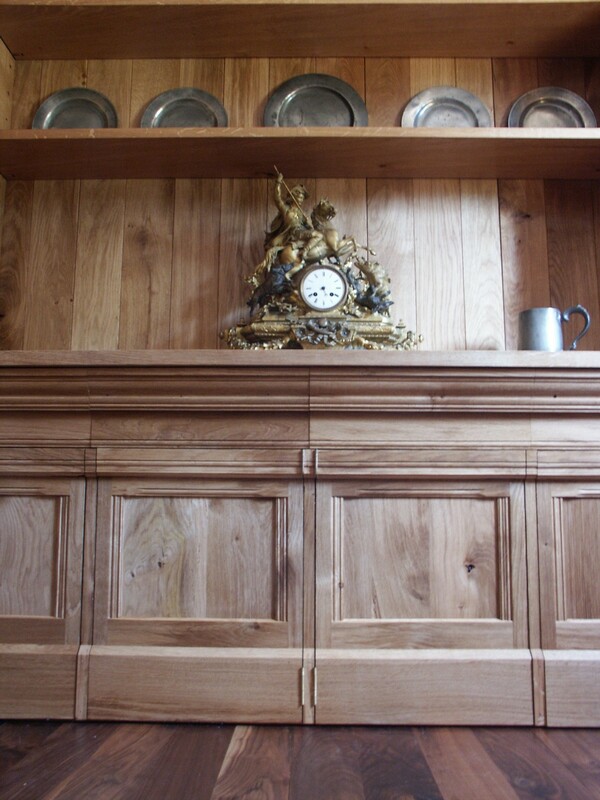 This had a set of fitted dovetail drawers with the handles incorporated into the moulding which run along the top of the drawers, below which were cupboard doors, again with hidden handles in the moulding rails. Two full height cupboards stood one each side of the shelves. 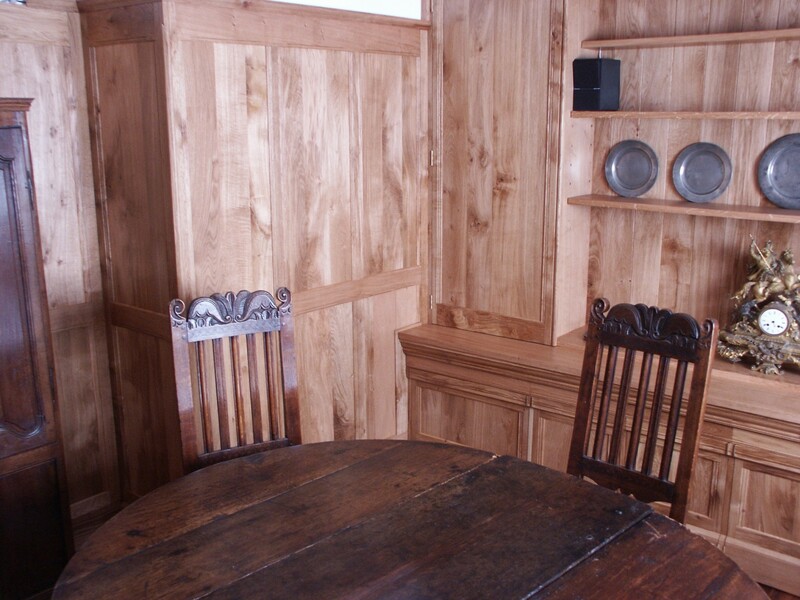 SA Spooner’s designed and built new panelling and a storage unit in keeping with the shelving unit already in place. 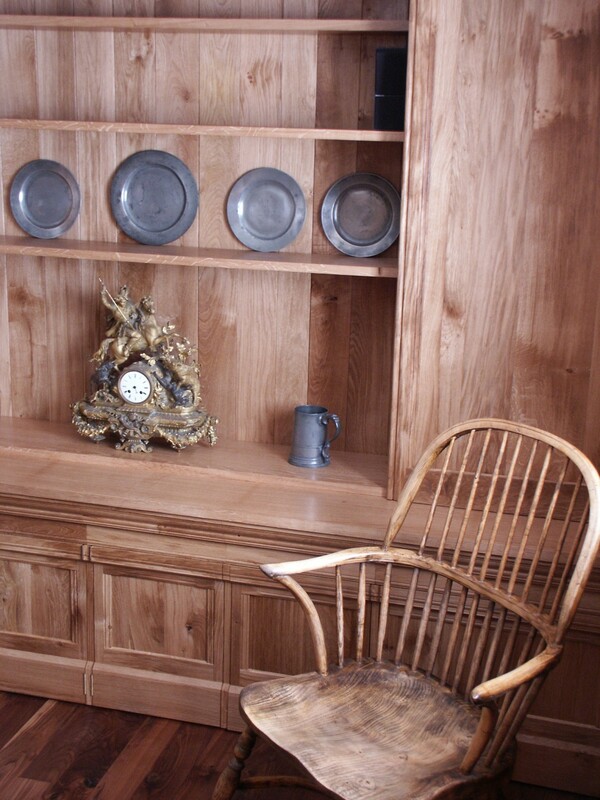 English oak, which was grown, sawn and cut into planks in the client’s garden was used. The unit was fitted and the woodwork sealed and waxed.